Information Technology University Lahore came into being under the supervision of The Punjab Government in 2012. The main aim of the university is to provide advance education in Pakistan in the field of science, engineering and technology. Information Technology University offers scholarships to the needy students who meets requirements. The faculty of University meets the Massachusetts Institute of Technology Entrepreneurial. Through this students learn more featured elements related to IT.In which students learn entrepreneurship, researching in different disciplines. Information Technology University announced admission 2019. 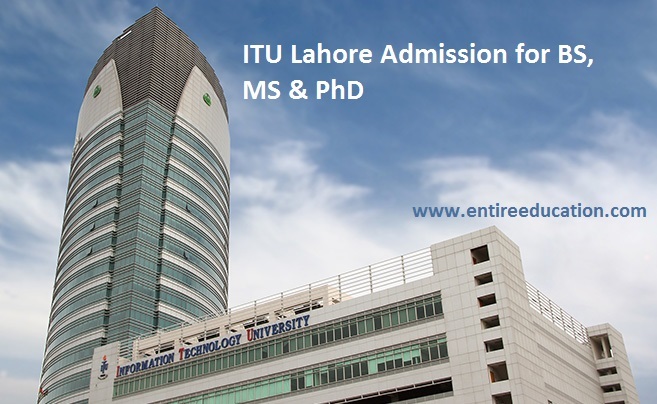 ITU Lahore admission 2019 offered for Undergraduate, MS and PhD programs. Those students who are seeking best IT University for admission in BS Computer Science. In my opinion Information Technology University Lahore is the best university to study Computer Science 4 year. Merit base entry test held by the university through proper channel. ITU entry test, Fee Structure are also announced by Institute. We are going to share exact admission related information with a student. Read all instructions, which are very important to get admission in ITU Lahore. There are two undergraduate programs offered by Institute BS Computer Science (BSCS) and BS Electrical Engineering (BSEE). Both Courses have the same duration of degree 4 years. Students create their profile online for registration to get admission in ITU Lahore last date 2019 entry test, Fee Structure. Merit list 2019 is upload after completes of entry test 2019. For undergraduate programs student must complete their FSc/A-level or Diploma before August and Sep 2019. Also scored 60 percent marks in Matric and FSc. The student is eligible to apply for admission BSCS Computer Science) and BSEE (Electrical Engineering). That student who are waiting for result part2 (HSSC-2), also eligible to apply to get admission on behalf of HSSC-1 result with hope certificate. ITU Lahore admission last date 2019 is for second undergraduate registration 02 June 2019. University offered Master and Doctoral courses for Students. Applicants are allowed to enroll in MSCS (Computer Science) and MS (Electrical Engineering). Also, allow admission in PhD Computer Science) and PhD Electrical Engineering). These programs are best for BS holders with a degree in Software Engineering and Computer Science. Although, PhD research work is allowed by Information Technology Uni Lahore to create new inventions in IT industry. There is a significant opportunity for applicants to enhance knowledge and skills. MS Computer Science is higher studies for students and gets experience in their related fields. To get admission in ITU last date 02 June 2019 for MS programs also completed 16 years education in specific disciplines. Degrees must affiliate with HEC recognized universities with minimum CGPA 2.0 or at least 50% Marks score. If a candidate meets these requirements then he or she willing to get admission in Information Technology University easily. In university fee, charge for all courses is based on credit hour. For BS programs per credit hour charge RS 5,000. And for Graduate program per credit hour Institute charge RS 6,000 fee. Maybe fee too much and expensive for students but due to ITU Lahore ranking. Best institute to study IT-related program. Thanks for visiting our website your quires and suggestion are very important for us. 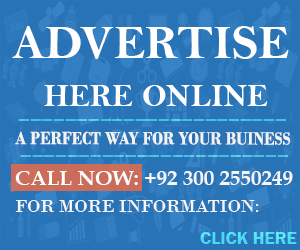 Place your question and points below comment to get your require information.